Anesthetics: it’s really an art of living botanical creatures. According to Japanese tradition, the bonsai represents the three virtues or shin-zen-bi, which translates into truth, goodness and beauty. So, if you do feel such beautiful features, you are likely a enthusiast, and my website is the right place for you. You can enrich your knowledge about your passion here. Bonsai is an art, which helps us to find precious relaxation minutes after work. It’s an art of living creatures, of training miniature trees right at home, or even in your office. To a newbie, it’s okay if you like training trees yet don’t know how to start to nurture your hobby. You should first learn about bonsai for beginners. It will guide you about some definitions and reasons why people love miniature trees, and to some extent, testify whether you really love the art. If you do have such passion, then go further to learn how to start a bonsai, and read tips about how to choose a tree after you have general understanding necessary for beginners. On the way to absorb necessary skills, from time to time you’ll see a strange species. You’ll ask yourself: what type of tree is that? What’s its name? While it’s hard to tell a full list of botanical name of trees, I’ll give you a list of common species, e.g. Ficus, Fukien tea, Jade plant. 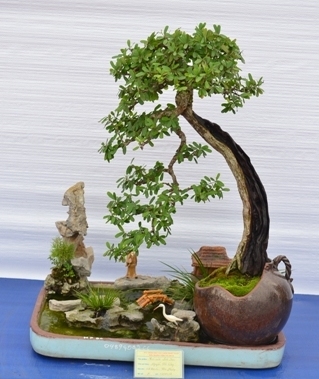 Besides, I’ll also talk about the oldest bonsai trees in myth as well as in reality. Then, you also want to learn about growing trees, methods to increase your plant stock including: growing from seeds or cuttings (propagation); collecting trees from the wild, buying from stores, layering, or grafting, etc. How to make healthy tree: watering, soil, repotting, solve disease, pest, etc. Hey, you also need to use tools and supplies to perform such techniques. I’ll talk about many necessary supplies such as soil, humidity tray, fertilizer. Perhaps, that’s enough for initial introduction, it’s time for you to check out the contents of this website. Click the relating links that you feel interested in, then enjoy your reading! And don’t forget to give me your feedback.